An electrifying triple-bill of masterpieces from the 20th century. 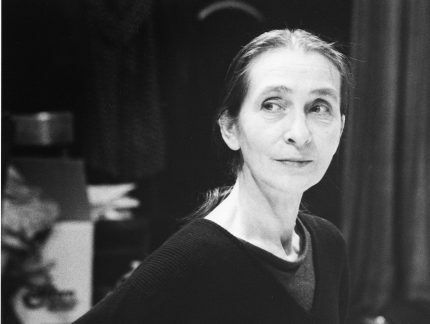 English National Ballet performs Pina Bausch’s iconic Le Sacre du Printemps (The Rite of Spring), in an electrifying triple bill also featuring William Forsythe’s In The Middle, Somewhat Elevated and Hans van Manen’s Adagio Hammerklavier. With “this classic loaded with extreme moves and killer attitude” (The Times), William Forsythe started a completely new school of choreography, deconstructing classical ballet. Set against a bare stage it is danced by nine individuals culminating in a fierce display of technical and physical wizardry. As the first notes of Beethoven’s pensive piano Sonata No 29, Op 106 play out, three couples slowly walk on stage. Eyes downcast, they set the tone for this cool, lyrical work by Hans van Manen, “one of the great masters” (The Guardian) of ballet. 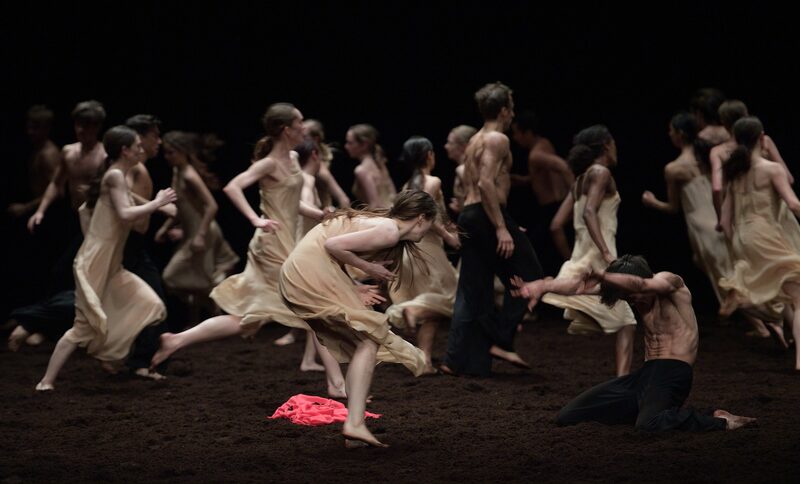 Not seen in the UK since 2008, English National Ballet is only the second ballet Company in the world to perform Pina Bausch’s masterpiece, Le Sacre du printemps (Rite of Spring). Stravinsky’s riotous score is performed live by English National Ballet Philharmonic. 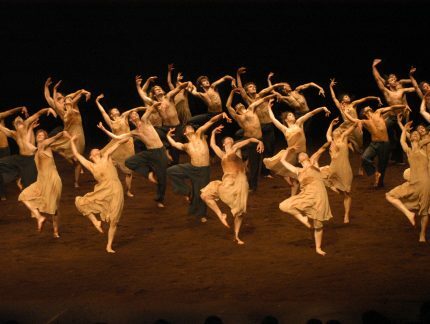 Main image: English National Ballet in Pina Bauch’s Le Sacre du printemps (The Rite of Spring) © Laurent Liotardo. 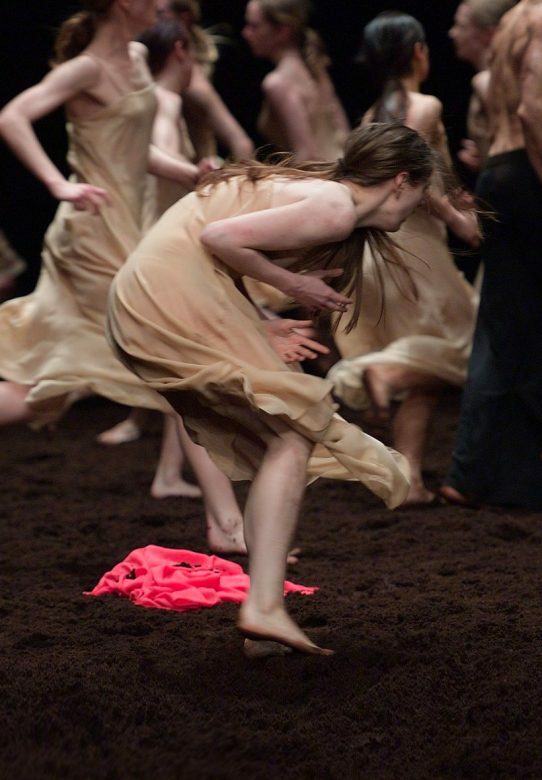 This April, we're thrilled to once again perform Pina Bausch's masterpiece Le Sacre du printemps (The Rite of Spring) as part of She Persisted, our second triple bill celebrating women's voice in dance. With a career spanning seven decades, Hans van Manen is an undisputed master of ballet. His work is erotically charged, dramatic and often austere in style.